We are proud to announce that we were selected as the 2015 Social Entrepreneur of the Americas by the Kering Foundation. 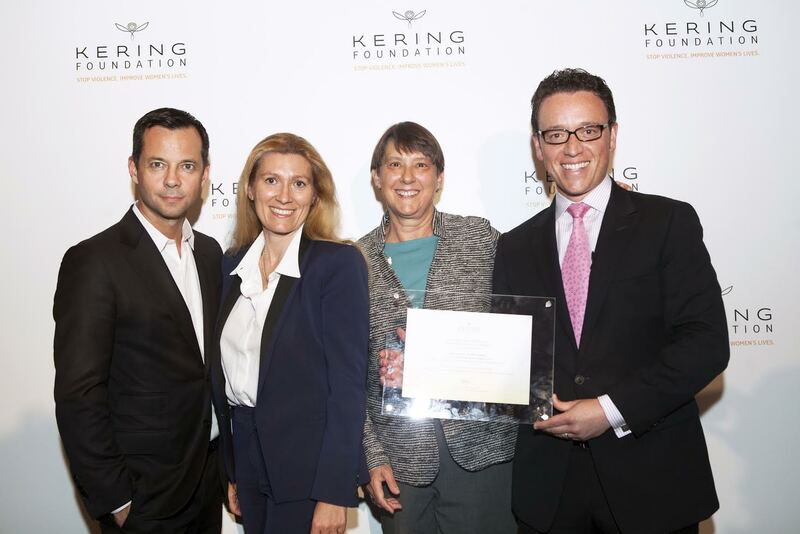 Launched in 2009, the Kering Corporate Foundation combats violence against women. It supports NGOs and social entrepreneurs, and helps raise awareness on violence against women. The Kering Foundation says this about us: We End Violence provides an innovative model to raise awareness and change behaviors leading to gender-based violence. The organization is committed to creating a culture where it is safe for survivors of sexual violence to share their stories and heal; to change the cultural myths and norms of discrimination; to encourage men to see their role in preventing violence; and to build alliances that will empower more people to speak out. “We formed We End Violence to push forward the movement to end gender-based violence. We welcome the support and involvement of the Kering Foundation in reaching that goal” said Carol Mosely, co-director. We are honored and grateful to be recognized for our hard work and dedication to sexual violence prevention. We want to work with you to help prevent sexual violence in your community. For more information about our services and products, please visit our website or send us an email. Most importantly, we want to thank all of our clients for your support. We can only make change if we work together, and having the opportunity to work with all of you is our greatest achievement. This entry was posted on Thursday, June 25th, 2015 at 6:41 pm and is filed under Education, Media, Violence Prevention . You can follow any responses to this entry through the RSS 2.0 feed. Both comments and pings are currently closed.